The slide switchs connect to the EN and GND pins on each PowerBoost1000C. The 6600mAh batteries plugs into the JST connector on the PowerBoost1000C. You can charge the battery by connecting a microUSB cable. Positive+ and -Negative pins on the PowerBoost1000C connect to the Pi on GPIO #2 for 5V power and GPIO # 6 for ground. +Positive and -Negative pins on the PowerBoost1000C connect to the 12V and GND labeled on the Display Driver. 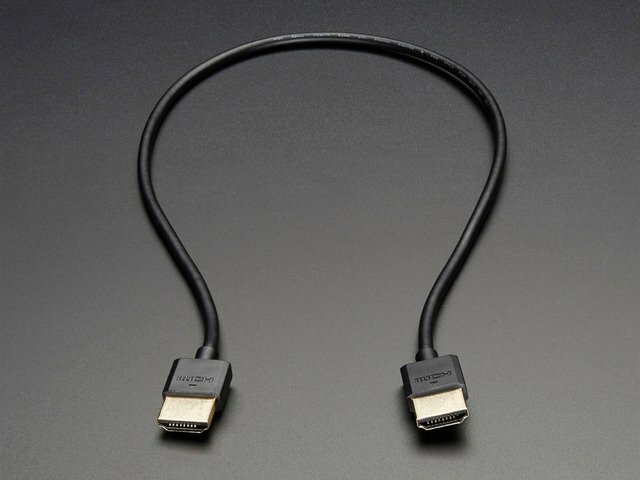 The Slim HDMI cable connects to the HDMI port on the Raspberry Pi. Use the settings below for reference. The parts were printed on the Type A Machine Series 1. We used Simplify3D to slice the parts using our custom profile. You can download our profile for Simplify3D below. about about 12 hours to print all parts. The parts were tested with common printing settings (listed in the table). With a parameter of 2 shells, theres only a few areas where tolerances really matters - the port cutouts and the mounting holes. Test fit the parts by inserting the top enclosure part over the Raspberry Pi. Check to see if the cutouts fit over the USB and ethernet ports. If the cutout is too tight, you can loosen it with a filing tool. The standoffs with counter bores should fit the machine screws listed in the BOM. These can be threaded by fastening in the appropriate sized screw. Layout the components on each stand-off. Measure how long each wire needs to be. You can alway constumize the the layout by editing the CAD files. We can solder wires from the bottom or top side of the GPIO header pins. Measure each wire so there is enough slack when we strip both ends. To make the enclsoure as thin as possible, we can solder directly to the GPIO header pins. Refer to the circuit diagram and connect power and ground to the PowerBoost1000C. 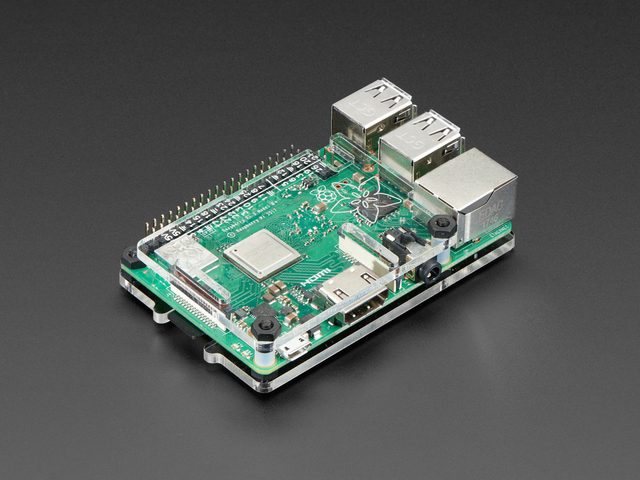 Hold the Pi steady with something like a Panavise Jr. Use tweezers to easily hold wires close to each pin. Solder each wire to the side of the pin. 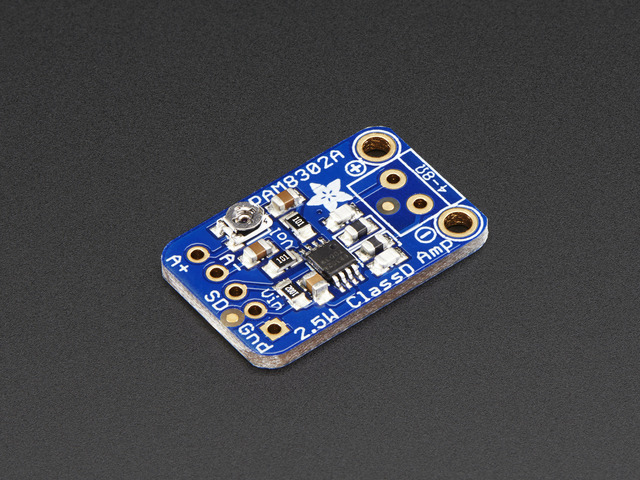 Positive and negative pins on the PowerBoost100C connect to pin #2 (5V power) and pin #6 (ground). 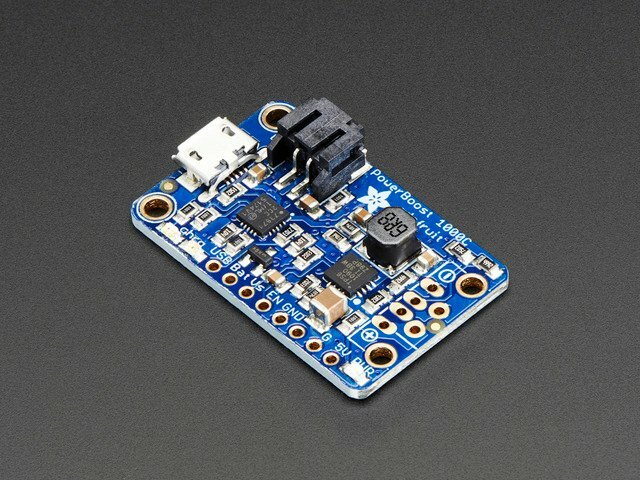 Feed power from the Pi to the amp using pin #1 for power and pin #9 or #14 for ground. 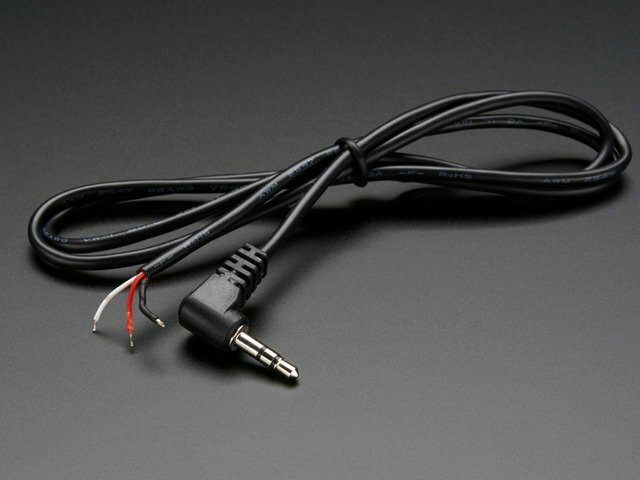 Measure the length of cable needed to connect the amplifier to the audio jack on the Pi. Cut the cable to the right length and strip about 1.5cm of insulation. 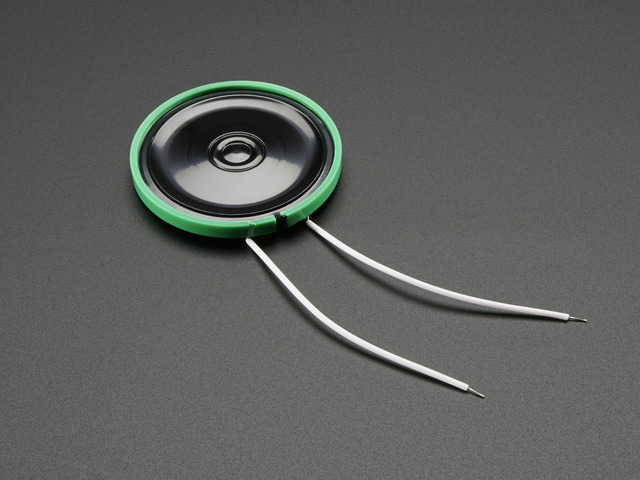 Twist together the stranded wire and tin to keep it from fraying. Strip about 5mm of insultation from the red and white wires, then tin both wires. Solder the tinned ground wire from the audio cable to the A- pin on the PAM8302. Red wire IS NOT solder in the photo. Only the white wire. Postion and check the audio cable length. You can always solder extra wire if you cut too much off. To run the display, we can use a separate PowerBoost100C and 6600mAh battery. Reference the connections to power and ground above and connect to the +Postive and -Negative pins on the PowerBoost1000C. Position the display driver and PowerBoost on the stand-offs. Connect a slim HDMI cable from the driver to the HDMI port on the Pi. Coil the HDMi cable so that it tucks underneath the boards and between the stand-offs. The battery cable for the Pi might not reach the second PowerBoost. Measure and cut a JST extension cable to it help reach the power connector. With the desired measurement, cut one the wire short. Strip and tin the ends of the wire to splice them together. Use heat tubing to insultate the exposed connections. Measure and cut wires for both of the slide switches. Solder wries to the slide switch first and then insert the switch into each port before soldering to each of the PowerBoost breakouts. Use #4-40 3/8 screws to mount each board to its stand-off. To make it easier, we can use dril to tap each board before screwing into the snad-off. Thread zip ties through the slits. Position the batteries over the enclosure and tighten the zip ties secure the batteries in place. Cut off the excess from zip ties. Position the locking head near the bottom of the case. Once all of the components are securely mounted, flip power switch on and make sure the connections work. The standoffs on the enclosure frame will need to be tapped. Use a pointy #4-40 wood screw to help puncture through the plastic. Be careful not to make the holes so deep that it pokes through the frame. Align the display with standoffs on the frame. Make sure the longer tabs match up with the longer elevated tabs on the frame. Mark each hole on all of the tabs and then carfully tap each hole. Use flush diagnoal cutters remove excess material left over from tapping the thread. You'll want to make sure the tabs are flush against the display frame. The tabs on the display are thin enough to be held in place by short #4-40 1/8 flat phillips machine screws. Mount the display to frame by fastening the screws into the standoffs. If any of the screws pop out, make sure that the hole tapped is deep enough for the screws to have enough material to grip on to. Carefully connect the display to the driver. Arrange the wires so they coil when mounting the display to the case. The glowing logo cutout works best if the cables are cleared away from covering up the displays backlight. Use gaffers tape to keep wires away from the cutout. Plug in the display controller to turn on the monitor. Set the input to HDMI. You can disconnect the controller from the driver board to save space. The display will save the input selected on initial start up. Attach the translucent diffuser part to the inside of the display cover using pieces of gaffer tape. Align the cover to the back of the case. Use #2-56 3/8 flat phillips machine screws to secure it in place. Use four #2-56 3/8 screws to attach the display to the second half of the enclosure. Finally, we can remove the plastic film covering on the display. Grip it by the yellow tab and pull it off. The case is design to sit on any of its sides. You can also attach a 3/8" to 1/4-20 tripod adapter to easily connect it to a tripod! We’re using this project to monitor the bot farm and serve as a dedicated shop computer. 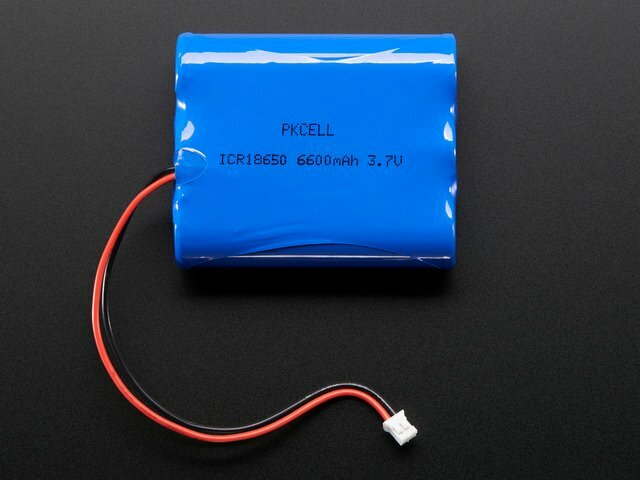 Once the lipo batteries have depleted, you can recharge them using a microUSB cable and a power source/adapter. The two microUSB ports on the PowerBoost 1000C are exposed on the side of the enclosure. A yellow LED will light up, indicating charging status. Once the batteries are fully charged, a green LED will light up. This guide was first published on Aug 24, 2015. It was last updated on Aug 24, 2015.